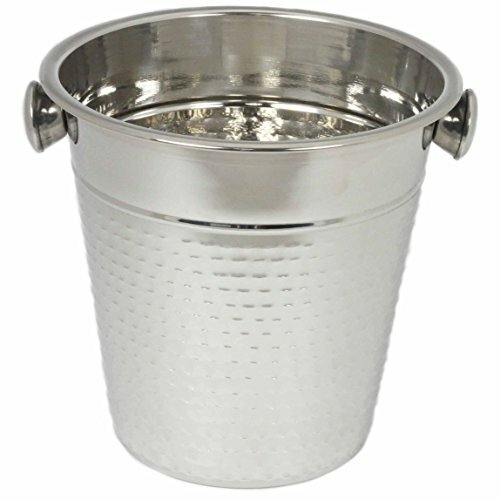 If you are looking for an elegant way to spruce up your party, look no further than the Chef Craft hammered Stainless Steel champagne bucket. It provides the appropriate amount of class to any champagne worthy event with it's beautiful hammered design on a mirror finished steel. Whether it's for a romantic evening with two or a fun celebration, this bucket will make a great impression.